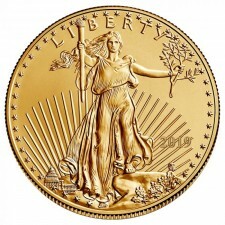 The American 1/10 Oz Gold Eagle is an extremely popular bullion item due to its affordable price point. It's an excellent way of owning United States government-issued gold for relatively little money. American Gold Eagles have been issued in the 1/10 oz size since 1986. Monument Metals has 1/10 ounce gold eagles for sale at extremely attractive premiums with free shipping on all orders of $99 or more, even for an order of just one coin. 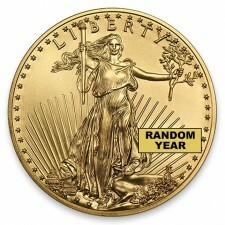 This allows collectors and investors to buy 1/10 oz gold eagles at the lowest possible cost.